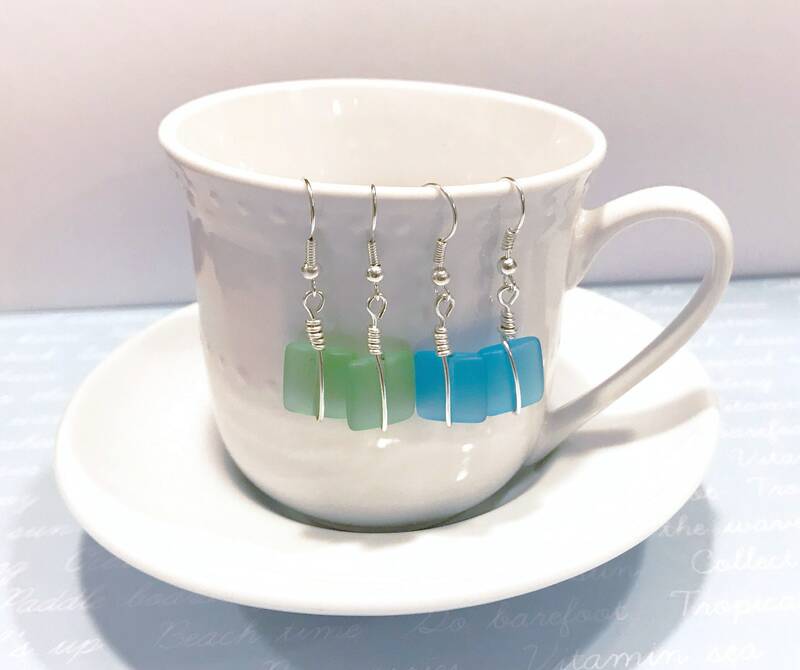 Beautiful sea glass earrings in two colors: grass green, and deep sea blue, each frosted recycled square bead wire wrapped to silver plated French hook earwires. Beads are smooth but frosted. Choose from the two colors listed. 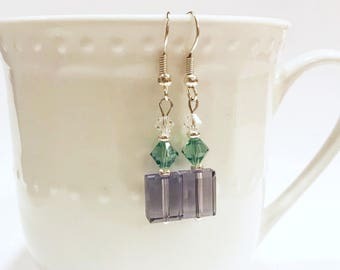 Listing is for one pair of earrings. 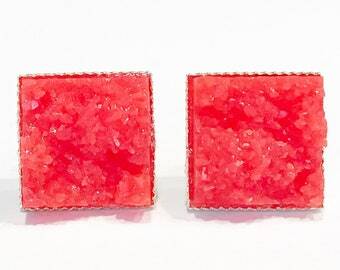 Comes packaged on a heart shaped earring card inside a jewelry box perfect for gift giving. Ships in 1-2 business days via first class mail normally unless otherwise specified. Gift wrap now available at checkout for an additional fee. I love the quality of these! Also the dimensions are just right! I have chin length hair and these balance well!